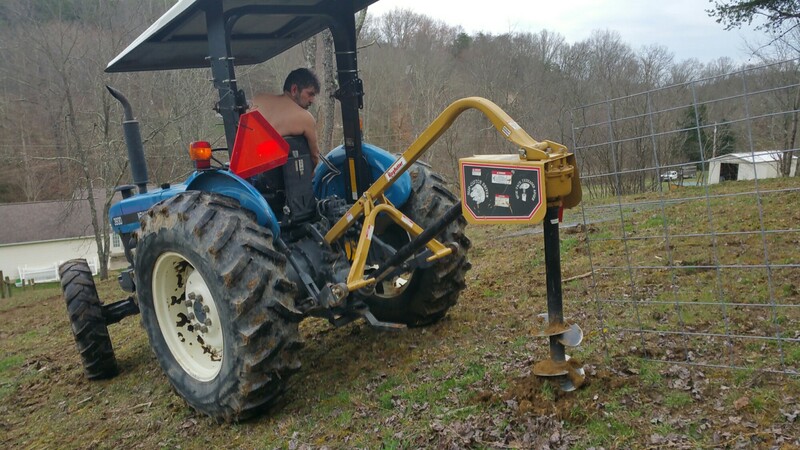 Somebody new is coming to join our farm on Saturday, so we had to install a small piece of new fence. 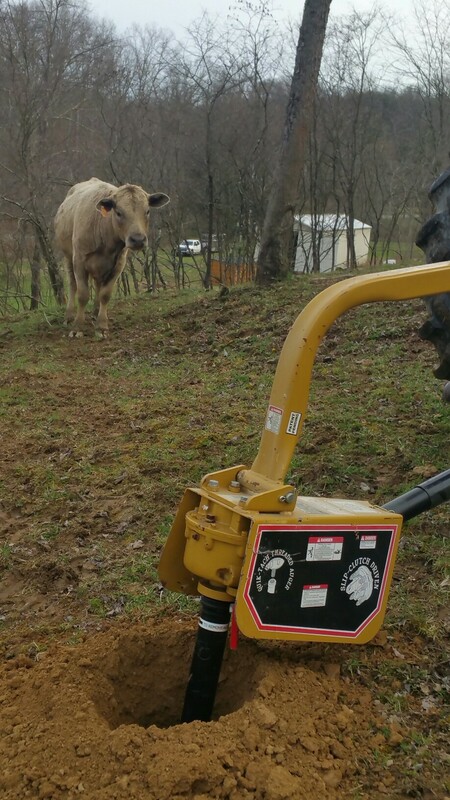 Once Ted got started, the cattle were absolutely fascinated by the auger on the tractor. 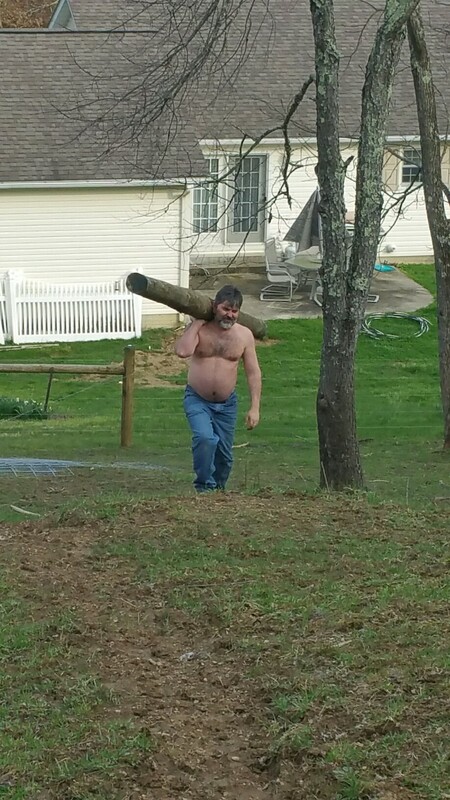 It was all I could do to keep them away from it so they didn’t get hurt while he was drilling out the fence post holes. 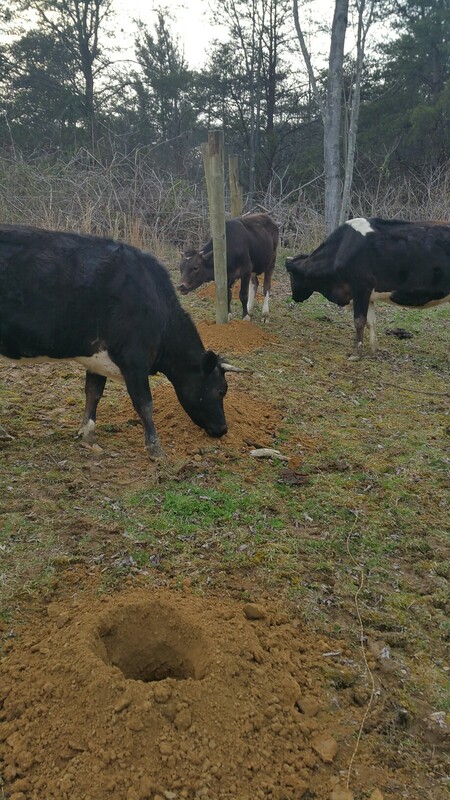 They watched and watched, and as soon as he drove away, they would be right over to those fence post holes, trying to figure out what was going on. 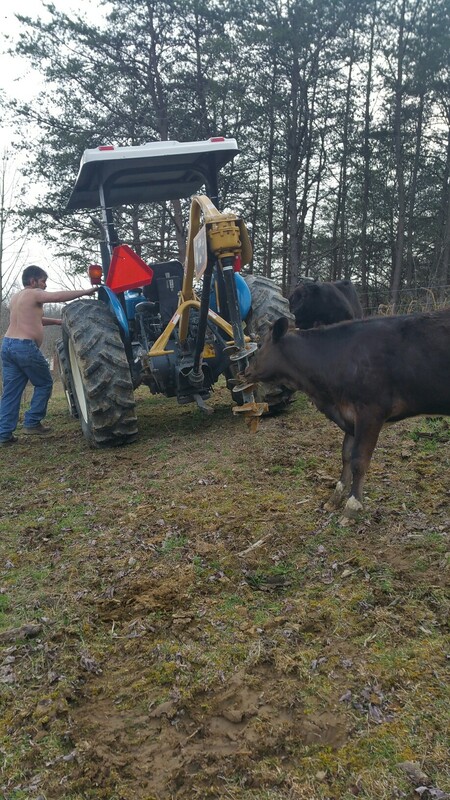 It took us forever to get the post holes dug with the tractor because the cattle kept getting in the way. They wanted to be involved right in the middle of what was going on. Tilly was the only one who stayed a distance away. She just wasn’t sure about that big thing that made so much noise! Finally, Ted ran a piece of poly rope (not actually hooked to the electric fence but more as a visual deterrent), and the cattle stayed on that side so he could bring up and set the posts. All in all, it was a busy evening of fencing! ← We see spring from here!! !